John Smith, the editor of the Liverpool Mercury, was on the platform with most of the other journalists during the meeting at St. Peter's Field on 16th August, 1819. 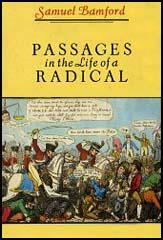 Like Richard Carlile, Smith escaped before the Manchester & Salford Yeomanry made their arrests. 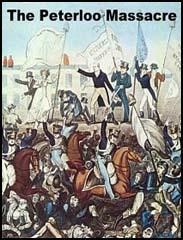 As writing a critical report on the behaviour of the soldiers at the Peterloo Massacre, Smith also published a pamphlet on the subject entitled An Impartial Narrative of the Late Melancholy Occurrences in Manchester. (1) John Smith, a journalist at Liverpool Mercury, gave evidence at the trial of Henry Hunt in March, 1820. In no case whatever did I see any attempt to resist nor any encouragement to resistance given to Mr. Hunt, or any other person, either by word, look, or gesture. I saw no sticks lifted up against the military. I saw no brickbats or ones thrown till the close of the dispersion, when I saw one stone thrown. If any stones or brickbats had been thrown, or any sticks raised in defiance of the military, I must have seen it. I am more than six feet high, and therefore was able to see all that took place. I neither heard any offensive expressions uttered, nor saw any acts of violence committed by the people, from the time of their assembling to their complete dispersion. Hunt was beginning to address his countrymen when the volunteer cavalry of the town, many of whom but a few days before had made the most violent declarations, rushed upon the people, cutting right and left, taking forcible possessions of the conductors of the meeting, and then proceeding by direct charges upon the multitude to force them from the ground.